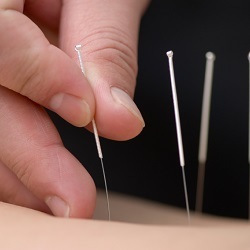 Acupuncture: What Is It and How Can It Help? The stress of a breast cancer diagnosis and the side effects of treatment can make it hard to feel like yourself. Dealing with daily symptoms such as pain, anxiety, nausea, vomiting, and fatigue can wear you down.